Joel wants nothing more than to fulfill his father’s dream of becoming a Rithmatist. Rithmatists have fame, wealth and honor. These are all things Joel himself craves. He wants to defend his country. He wants to pull his family out of poverty. He wants to finish his father’s work. However, Joel missed his inception day. He may never know if being a Rithmatist is truly what he is meant to be. That never stops him from studying as hard as he can and knowing Rithmatic history and theory. It is his knowledge and sheer inquisition that land him a summer role as a Rithmatist’s assistant. He is to help one of the professors look into the disappearance of a few Rithmatic students on campus. The results of which will change what everyone had thought pertaining to Rithmatics. This book has many Harry Potter-esque qualities. First, there is a 16 year old main character on which the adults of the novel tend to rely. Second, it is set on the school’s campus. Third, Joel is an outcast, set aside due to his poor station in life. With that being said I really enjoyed the book. 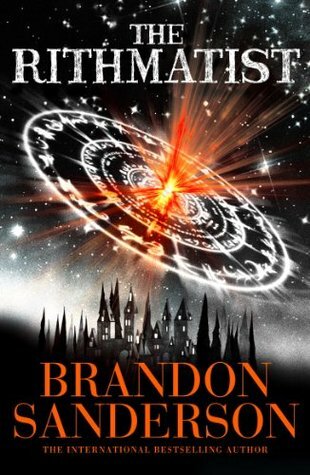 It had a few unrealistic moments, a chief inspector relying on the work and word of a 16 year old boy, professor who looked to a 16 year old boy for advice, but overall I really loved Sanderson’s world building and his absolutely brilliant way of introducing a new form of magic. I do think the “young-adult” label is I bit of a stretch. I find that this would be an awesome book for older children. Even though he is 16 there aren’t any situations that would deter me from letting my 9 year old niece read this book. In a place called the Devil’s Hand, people keep disappearing but sometimes they return, not as their normal self but as a sleeper. Ruthie wants nothing more than to escape the town she is in. That is until her mother becomes one of the mysteriously missing. She searches the entire house and finds nothing. No trace of her mother anywhere. That’s when she begins to panic and pulls up the floor in her mother’s room. She uncovers a diary and a few wallets and that only leaves her with more questions. Yet another book I have come across that switches perspective. However, I liked this one. 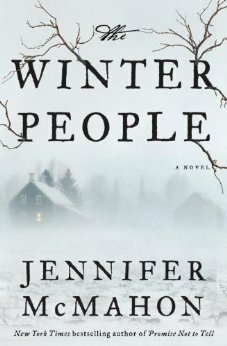 I was drawn in by the eerie atmosphere and fell in love with the main character quickly. The only part I was not happy with was the lackluster ending. It fell short for me in so many ways. I believe this will not deter me from reading more of her works but it may be a while. Only adding one because my others give away plot. So, I have been slacking on the reading front… I do apologize for the lack of reviews. Recently I have moved, adopted a puppy, changed jobs, all among a plethora of other things. Today was the first day I have sat down to read for any length of time in nearly a month. My heart kind of hurts to admit that. I am still working on The Blade Itself, but I have picked up a few others. Right now I am actually working on, Eye of the World, The Winter People, and The Rhythmatist. I do plan on reviewing each and the others in my previous post, I just haven’t got around to sitting down to read them. I will buckle down and get the reviews out there, no worries.